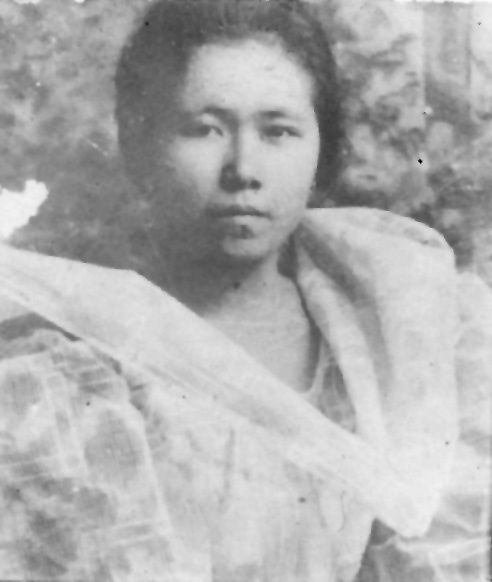 Cipriana Rosal was born on September 26, 189711, the third child of Norberto Rosal and Bonifacia Perez. Cipriana, known as "Insi Piana", grew up in Mandaue, Cebu. In her late teens, Cipriana began a relationship with Sancho Basilgo, much to the displeasure of her mother, since Sancho was married at the time. Her objections were to no avail, as they continued their relationship and were eventually married. Sancho Basilgo was born on June 5, 1890, the son of Adriano Basilgo and Simplicia Soon. In 1910, Sancho married Agustina Caballero3. According to family members, Agustina soon became involved with other men and Sancho sent her home to her mother in Cebu City6. About this time, Sancho became the driver and personal cook of Montague Lord6. Montague, a millionaire American, came to Manila on behalf of the Hawaiian Sugar Planters Association to recruit laborers for the Hawaiian sugar cane plantations6. As a result, Sancho lived in Manila, but must have frequently traveled to other places on recruiting trips. His travels would have included Cebu and other Visayan Islands, where sugar cane was commonly grown. By 1916, Sancho began a romantic relationship with Cipriana, although he was legally still married. Their first child was born in 1917, with additional children following thereafter. In the Civil Register of Manadaue, their first three children carry the name Rosal and the father is not listed, since Cipriana was not married 3. However, it appears that Sancho and Cipriana maintained a loving family relationship, even though his employment must have kept him away for extended periods. In 1923, Sancho traveled to the United States on vacation. His passport application states that he would return to the Philippines within 18 months 31. The picture at the right comes from this application. Also a note on the application indicates the cancellation of a passport issued in 1920, suggesting Sancho had planned an earlier trip. In the early 1920's, Cipriana and Sancho were married in a civil ceremony at an unknown location6. It seems likely that this marriage took place in late 1923 or early 1924, possibly after they learned that Cipriana was pregnant with their fourth child. The status of Sancho first marriage is unknown. At any rate, when their daughter, Milagros, was born in September 1924, her surname in the Civil Register was Basilgo3. On March 17, 1934, Sancho and Cipriana were married in St. Joseph's Roman Catholic Church in Mandaue, to complete their union3. After their marriage, Sancho left his job with Montague Lord, and he and Cipriana settled in Mandaue, where Sancho operated a grocery store and Cipriana sold clothing6. Cipriana died on June 17, 1960, and Sancho died on December 8, 1967. They are interred in the Perez Family Mausoleum in the Mandaue City Cemetery. i. Bienvenido Basilgo Bienvenido was born March 22, 19173, and died December 14, 19919. He married Honorata Lou. ii. Maximo Basilgo Maximo was born April 6, 19193, and died May 2, 19869. Maximo married first, Carmen Bulan; second, Estellita Comedia. He was also the partner of Guillerma Lapera. iii. Corazon Basilgo Corazon was born March 3, 19223, and died December 8, 19393.
iv. Milagros Basilgo Milagros was born September 21, 19243, and died August 23, 19899. Milagros married first, Arcadio Raagas; and second, Ireneo Jordan. v. Anastasia Basilgo Anastacia was born November 28, 19286, and died December 18, 2005. She remained single. vii. Joveno Basilgo Joveno married Asuncion Dabon. He is also the partner of Yolanda Go. viii. Apolinario Basilgo Apolinario was born October 5, 19319, and died October 23, 19939. Apolinario married Felicitas Flores. ix. Eduvigis Basilgo Eduvigis was born on November 27, 19346, and she died on March 6, 201320. Eduvigis married Felizardo Jabiniao. 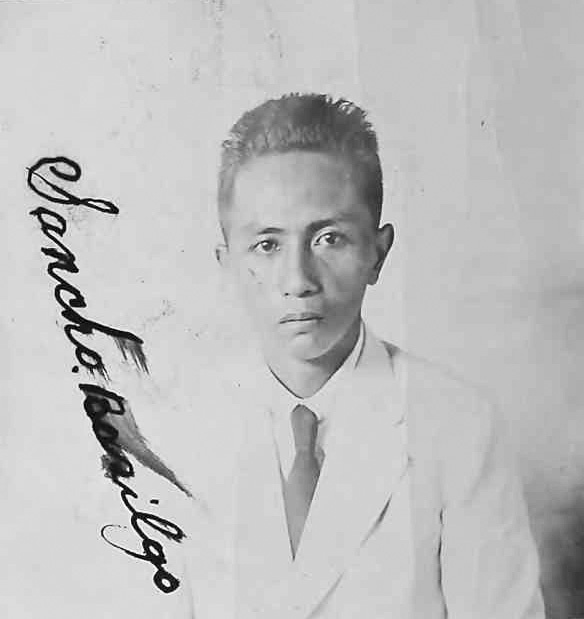 Bienvenido Basilgo was born on March 22, 19173, in Mandaue, Cebu, the oldest child of Sancho Basilgo and Ciprina Rosal. As explained above, his was registered under with his mother's name, Rosal. Throughout his life, however, he was known as Bienvenido Basilgo. About 1936, Beinvenido married Honorata Lou. Honorata was born on December 30, 19209. Beinvenido and Honorata lived in Mandaue, where he pursued several lines of work, beginning as an attendant at a gasoline station6. Subsequently, he operated Colorlim, a car service for airline passengers to and from Mactan Airport6. He later had a store in the public market along with his brother, Maximo, where they sold clothing and clothing material6. Bienvenido and Maximo also managed a fleet of passenger trucks. Honorata died on October 6, 19719, and Bienvenido died on December 14, 19919. They had three children. Maximo Basilgo was born on April 6, 19193, in Mandaue, Cebu, the second child of Sancho Basilgo and Cipriana Rosal . His birth was also registered as Rosal, as explained above3. About 1924, Maximo first married Carmen Bulan. They had seven children. Next, Maximo married Estelita Comedia in April 1959, at Daanbantayan3. They had eight children. Finally, married Guillerma Lapera, with whom he had three children. Maximo was a businessman, who operated a clothing store in the public market alone with his brother, Bienvenido. They sold both cloth and ready made clothing. In addition, Maximo managed a fleet of passenger trucks, again along with his brother. Maximo died on May 2, 19869. Milagros Basilgo was born on September 21, 19243, in Mandaue, Cebu, the fourth child of child of Sancho Basilgo and Cipriana Rosal. On February 12, 1951, she married Arcadio Raagas in Mandaue. Arcadio was born about 1925, the son of Julio Raagas and Damiana Redolla. Arcadio and Milagros had four children. Milagros next married Ireneo Jordan about 1960. He was a laborer by trade. Ireneo and Milgros had four children. Milagros died on August 23, 19899. Mamerto Basilgo was born on October 17, 19263, in Mandaue, Cebu, the fifth child of Sancho Basilgo and Cipriana Rosal. 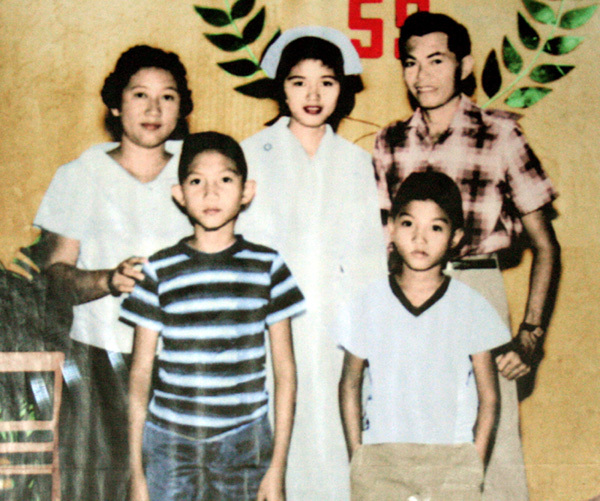 On June 16, 19566, he married Carmen Tan in Cebu City. They had seven children. Mamerto had an active professional life. He was an purchasing agent and truck driver for a rice trading company in Manila, a timekeeper and inventory control clerk for Toress Construction Co. at Clark Air Force Base and audit clerk for J.L.Toress, in Manila6. Mamerto also served as a clerk for Ramon M. Durano, representative from Cebu to the Congress of the Philippines6. In Cebu, he was employed by the Nestle Co. as chief accountant and office manager6. Finally, after immigrating to America, he became supervisor of the payroll department at Neward Electronics in Chicago, Illinois6. Mamerto Died on September 10, 200932. 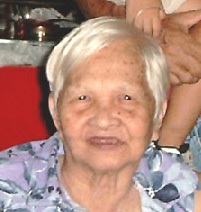 Anastacia Basilgo was born on November 25, 19086, in Mandaue, Cebu, the sixth child of Sancho Basilgo and Cipriana Rosal. Anastasia was a teacher in the Public Schools6. She remained single all her life. Anastasia died on December 18, 2005. Apolonario Basilgp was born on October 5, 19313, in Mandaue, Cebu, the eighth child of Sancho Basilgo and Cipriana Rosal. On December 31, 19523, he married Felicitas Flores, the daughter of Eugenio Flores and Pascuala Jayme. Apolonario and Felicitas had 10 children. He worked as a laborer for Panomatch and as the proprietor of a sari-sari store6. Aplonario died on October 23, 19939. Eduvigis Basilgo was born on November 27, 19346, in Mandaue, Cebu, the ninth child of Sancho Basilgo and Cipriana Rosal. Eduvigis lived much of her life in Mindinao, the southernmost island of the Philippines, where she married Felizardo Jabiniao. Felizardo and Eduvigis had one child. 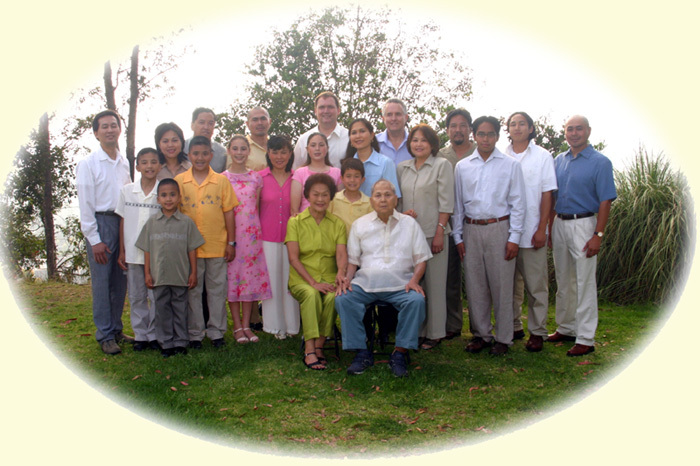 Eduvigis was the proprietor of a large farm in Bukidnon and a leader in the Jehovah's Witnesses6. Felizardo died on June 1, 20096, and Eduvigis died on March 6, 20136.